Further to a number of previous installations at Chigwell School being carried out successfully by Netcom, the school IT manager made an enquiry regarding the potential supply and installation of the new Clevertouch touch screen solutions. The call was directed through to our sales team which resulted in a suitable quote being provided for the schools requirements and presented to the school along with a demonstration of the product. Chigwell School wanted to put a touchscreen onto a trolley so they could use it in multiple rooms. Although they had looked around at alternative manufacturers Clevertouch was one of their preferred solutions. 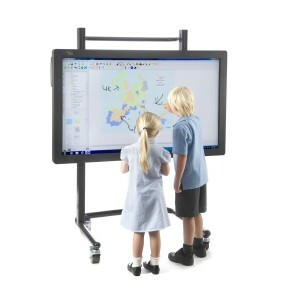 To accommodate the schools need to be able to move the screen from classroom to classroom we decided that a height adjustable trolley would be best and safest solution for all the pupils and staff. Chigwell School was looking for a company who could take care of the entire project including product supply, installation and design including any data cabling and electrical requirements. Chigwell School required a new touchscreen for their 6 ICT suites. The movability was very important as the school needed to take the screen from each room when needed. 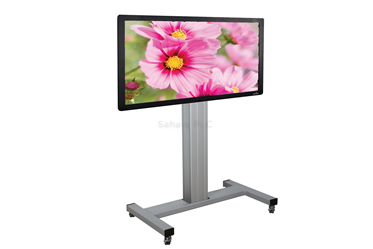 Netcom understand that the age range of the students required easy access to the screen. With this in mind we mounted the Clevertouch to a fully mobile height adjustable trolley. Netcom provided the school with a 55” Clevertouch screen and a Clevertouch height adjustable trolley. To limit the amount of time spent on site by the installation team Netcom built the stand and mounting system off site at their warehouse and delivered the full solution to site where the touch screen was then unpackaged and mounted to the trolley and fully commissioned.